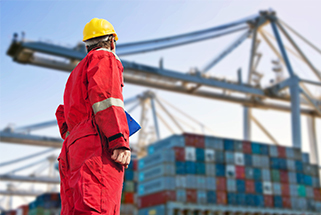 Learning outcome: students would gain an in-depth knowledge on safety operations and management of oil and gas marine terminals, recognise the international regulations and requirements for the oil and gas marine terminals. They must be able to apply proper planning techniques in storage and transfer systems and command of the various planning and transfer requirements for oil and gas marine terminal, discuss the different vessel operations such as oil tankers (crude and product) and gas carriers (LNG/LPG). By the end of the course students should be able to understand and be familiar with some of the following: OHS procedures and terminal safety; ILO convention and IMO guidelines; marine safety and risk assessment; port/harbour and jetty appraisal; safe carriage and handling of crude oil and petroleum products oil and gas markets and terminals and quality assurance and control.